$51.00 /each. when you buy 3+ pcs. $44.00 /each. when you buy 5+ pcs. This is 1 inch. 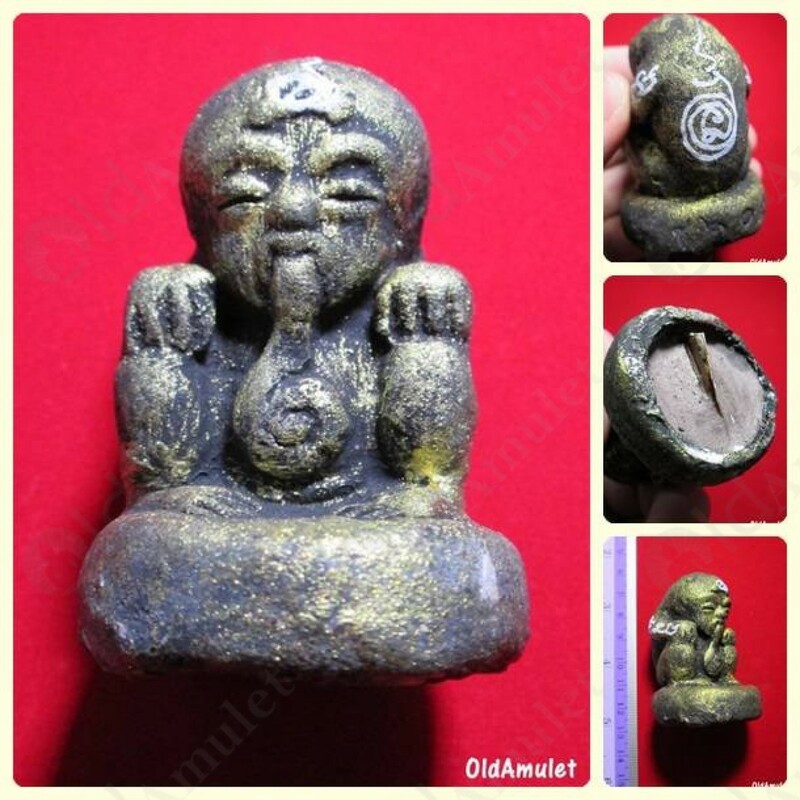 Gumanthong DOOD-ROK Mini Statue Kuba Chaichana Amulets B.e.2557 was made by Kruba CHAICHANA of Wat Bhud-Are-Ri-Ya-Rang-See (from Buengkan, THAILAND) in B.E.2557 (2014) and made of Clay mixed. Power of this amulet will bringing owner has a Charming love & sexual attraction.